I try to stay away from drug-store products, but there are always good reviews on some on the products that I always end up giving in. Revlon Lip Butters are something new to me. I have seen many beauty gurus who have this in their make up collection. 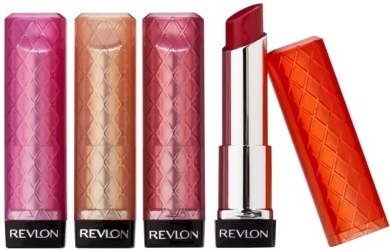 I wasn't really too sure what the big deal is so I went to my local drug-store and purchased 4 Revlon Lip Butters. I was truly amazed with how amazing they made my lips felt. It was like having a beautiful consistency of lipstick but it was actually good for my lips. The finish shocked me. It looks natural and subtle yet it really brings out your lips. Its like you’re wearing a really good lip gloss that is highly pigmented yet not as thick or sticky or annoying. Another thing that is great about this product is that it is long wear. don’t get me wrong, I have had to touch up. Put it this way, I am in the office for 9 hours 5 days a week. In that 9 hours, I only re-apply once like 1 or 2 hours before I finish work. And then off to the gym I go. And it will stay on till I go home. It even stays when I shower. It is amazing. The packaging is beautiful. Easy, compact, and fits in most storage spaces. You don’t find the lid flying off in your handbag. By the way, when you first take a look at these products, the colours may seem a bit playful and childish, but don’t let that scare you. These colours look natural when you apply it. It’s all about choosing the right colours for your skin tone. If you have darker skin like me, you can refer to the list above. I love all four of them. It is important to look after your lips though, so some Carmex underneath won’t kill you. I won’t recommend using Vaseline lip jelly under the lip butter at they will clash and the product will not last as long.